In the crowded world of watches it doesen't get much more classic than the timeless Timex Weekender. 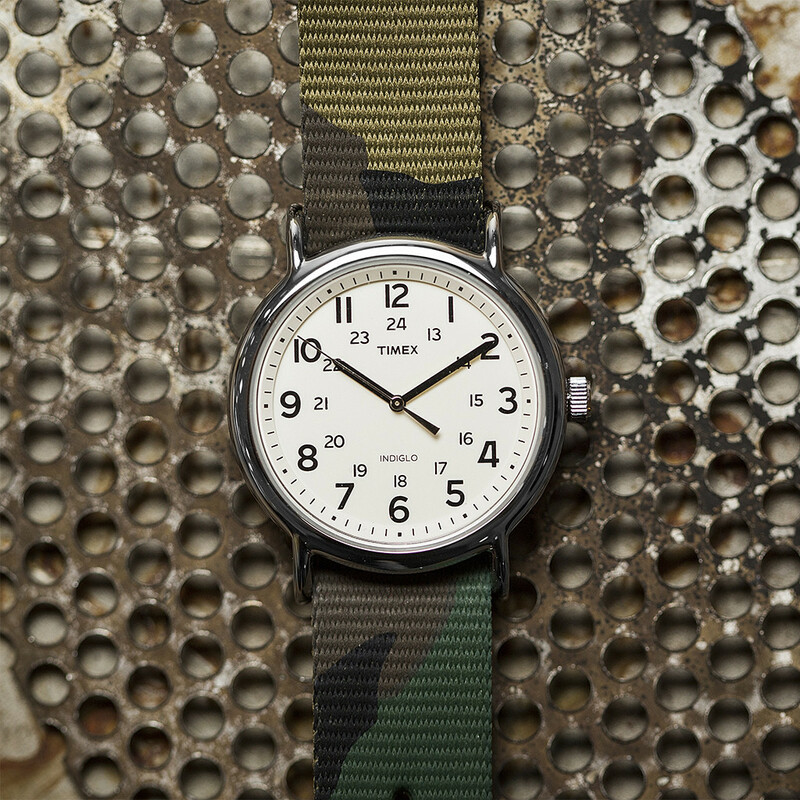 Thankfully Timex keeps pumping out this classic minimal throwback watch year after year but now they have given the watch a suble refresh with this "Camo" version. The watch itself stays true to the original with the white face, black accents and silver finish but now throws a classic camo strap in to finish off the look quite nicely if you ask us. You can pick this essential piece up directly from Cool Material here and we highly suggest you do.